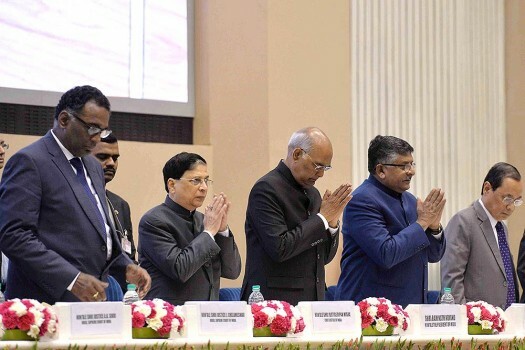 President Ram Nath Kovind with Chief Justice of India Ranjan Gogoi and Justice Madan Lokur during the inaugural function of Constitution Day celebrations, in New Delhi. 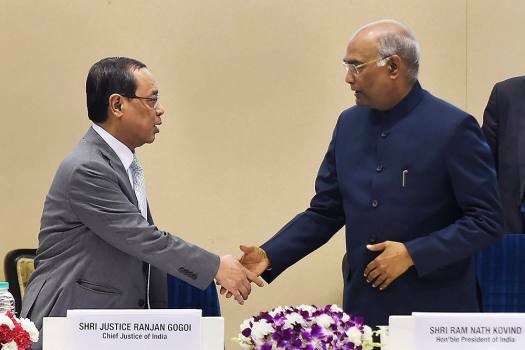 President Ram Nath Kovind and Chief Justice of India Ranjan Gogoi (L) during the inaugural function of Constitution Day celebrations, in New Delhi. 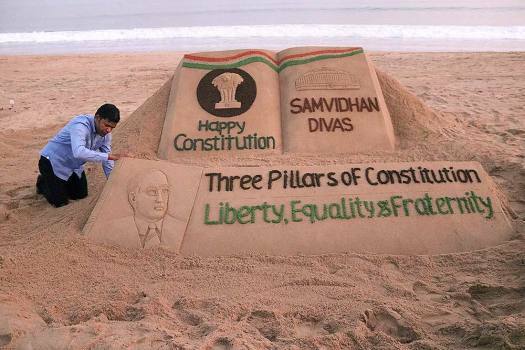 Sand artist Sudarsan Pattnaik creates a sand sculpture on the occasion of Constitution Day, at Puri beach in Puri. 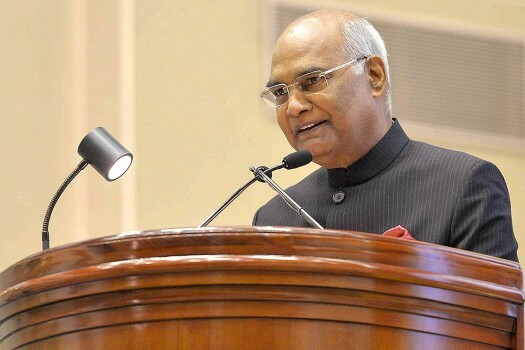 President Ram Nath Kovind speaks at the inauguration of the Constitution Day Celebrations at Vigyan Bhavan in New Delhi. 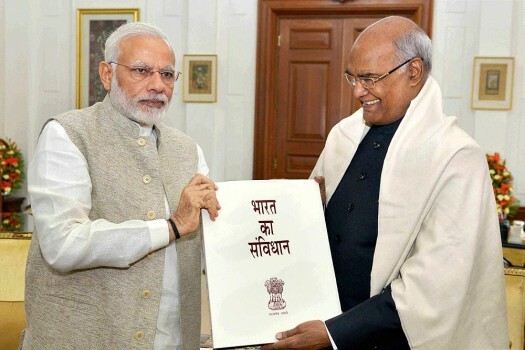 Prime Minister Narendra Modi presents an edition of "Constitution of India" to President Ram Nath Kovind at Rashtrapati Bhavan, in New Delhi. 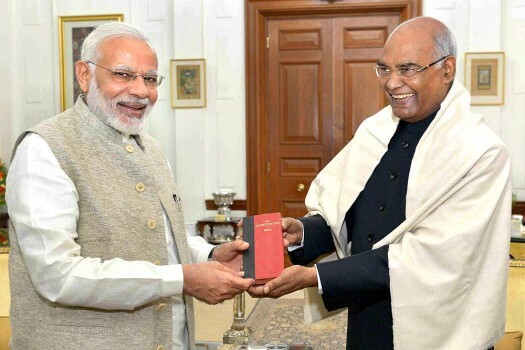 Prime Minister Narendra Modi presents a coat-pocket edition of "Constitution of India" to President Ram Nath Kovind at Rashtrapati Bhavan in New Delhi. 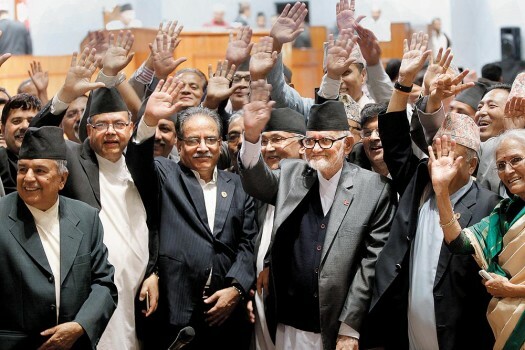 Nepalese President Ram Baran Yadav displays the constitution, formally adopted following a decade of political infighting, in Kathmandu, Nepal, Sunday, Sept. 20, 2015. 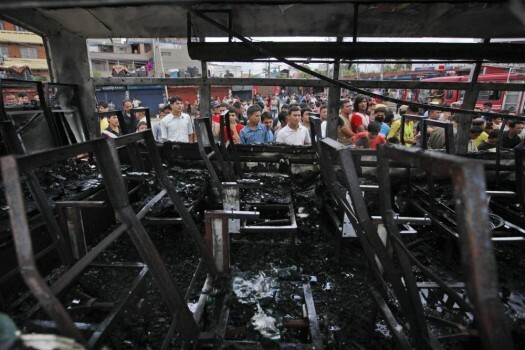 Nepalese people watch the remains of a burned out bus in Kathmandu, Nepal. 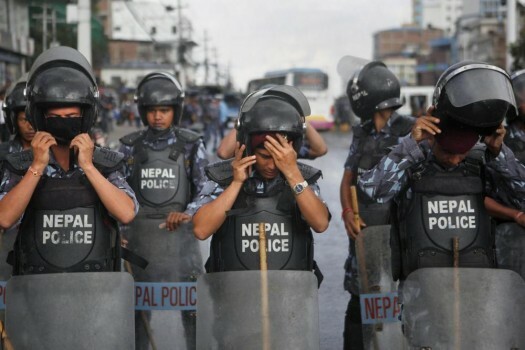 Nepalese policemen stand guard as activists of Nepal's Madhesi group protest against the new constitution outside the Constituent Assembly hall in Kathmandu, Nepal. 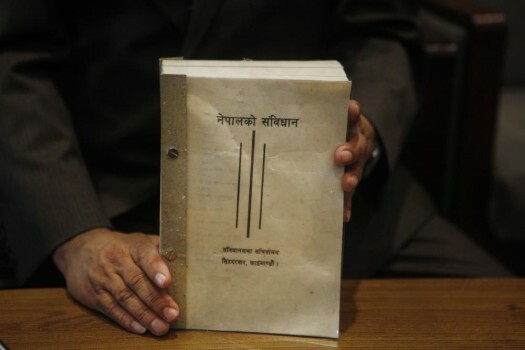 Nepal’s lawmaker holds a copy of the new constitution after signing the constitution document in the Constituent Assembly hall in Kathmandu, Nepal. 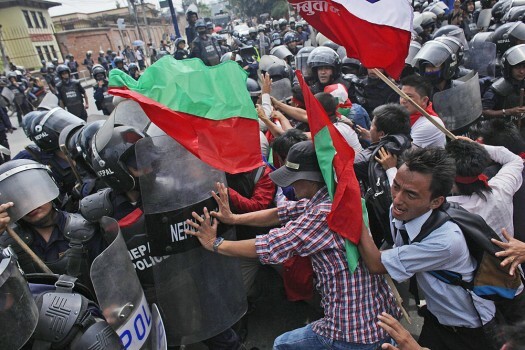 Communist Party of Nepal (Unified Marxist–Leninist), leader K.P. 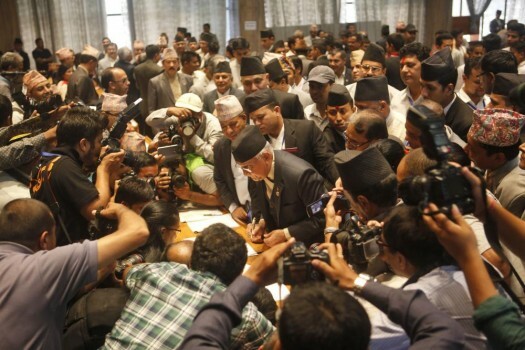 Oli, center, signs the constitution document in the Constituent Assembly hall in Kathmandu, Nepal. 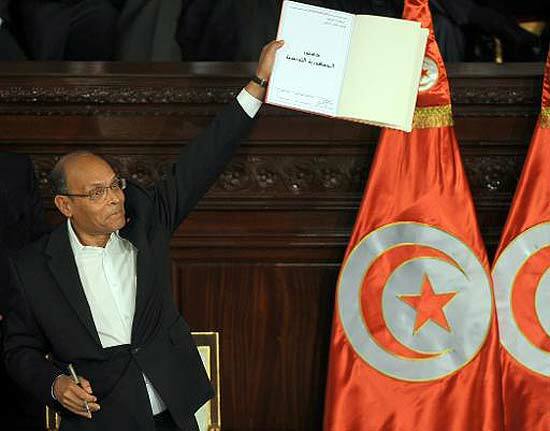 Egypt referendum on new constitution amidst violence. 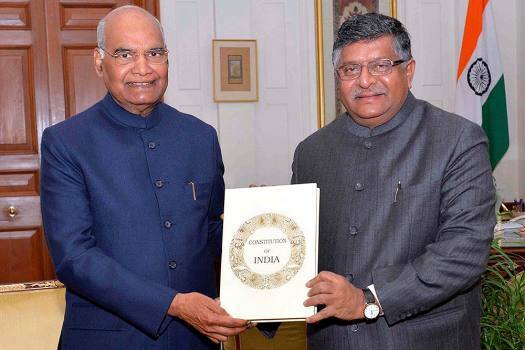 Clauses include right to impeach prez, no party to be religion-based, army keeps defence ministry for 8 years. 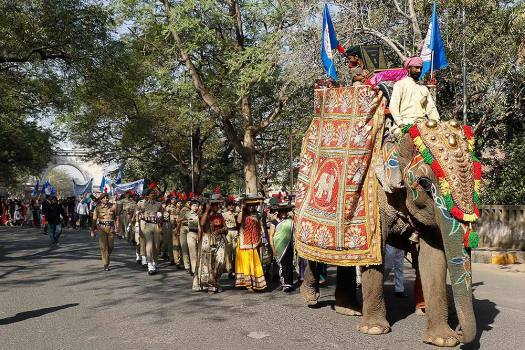 The veteran Gandhian said using the sacrifices of martyrs for seeking votes was saddening. 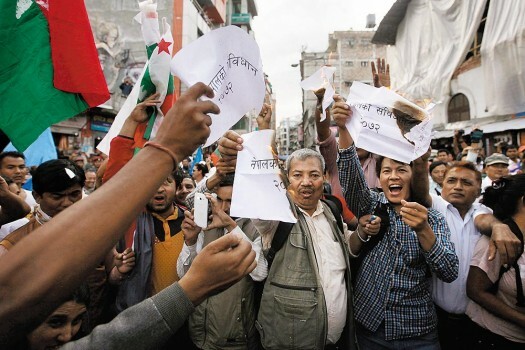 "When the trend is to do anything to come to power, such misuse is seen and voters are sleeping," Hazare said. 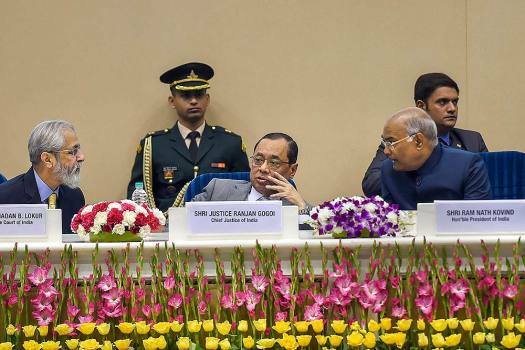 Calling the issue of terrorism in J&K the biggest challenge before India, Arun Jaitley said it cannot be solved until 'failed obsolete thought' of Article 370 as a "loose constitutional connect" between the state and the rest of the country is rejected. The parties have reminded the Governor that only an elected government can send such recommendations to the Centre. Talking at length about Kashmir and problems plaguing in the region, Haasan said that if India and Pakistan 'behave well', the Line of Control (LoC) will be under check. 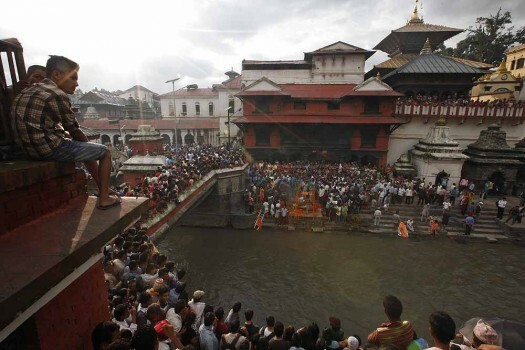 On September 28 last year, a five-judge constitution bench, headed by the then Chief Justice Dipak Misra, in a 4:1 verdict had paved the way for entry of women of all ages into the Sabarimala temple, saying the ban amounted to gender discrimination. Doval on Tuesday said the separate constitution of Jammu and Kashmir was "probably an aberration as the sovereignty of the country cannot be compromised".